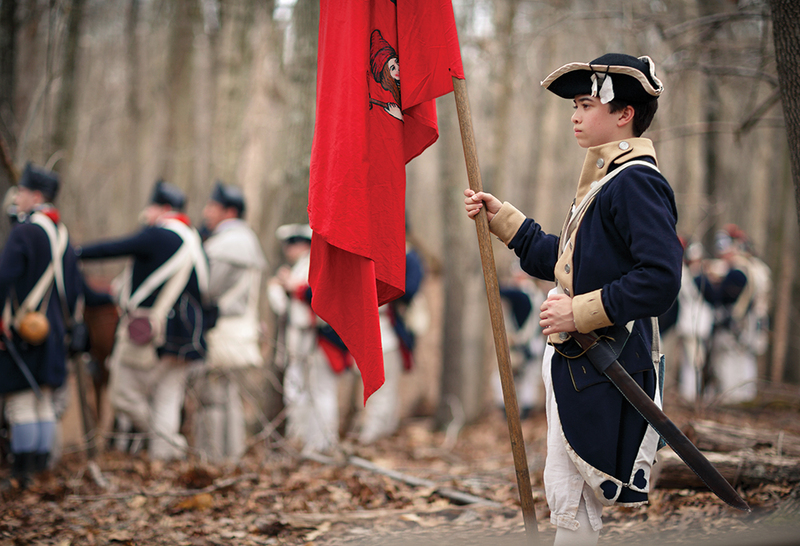 On a cold March day in 1781, a quiet backcountry farming community in Guilford County became the site of a pivotal battle in the American Revolution. Today, the bravery of the soldiers who fought for our country’s independence is honored with a powerful reenactment. EDITOR’S NOTE: This story was originally published in March 2017 and updated in March 2019. The trees and parks and lawns are verdant and plentiful; the citizens are conscientious recyclers. But neither fact pertains to Greensboro’s name. Because in 1781, Greensboro wasn’t Greensboro. It was a backcountry farming community of less than 100 people. 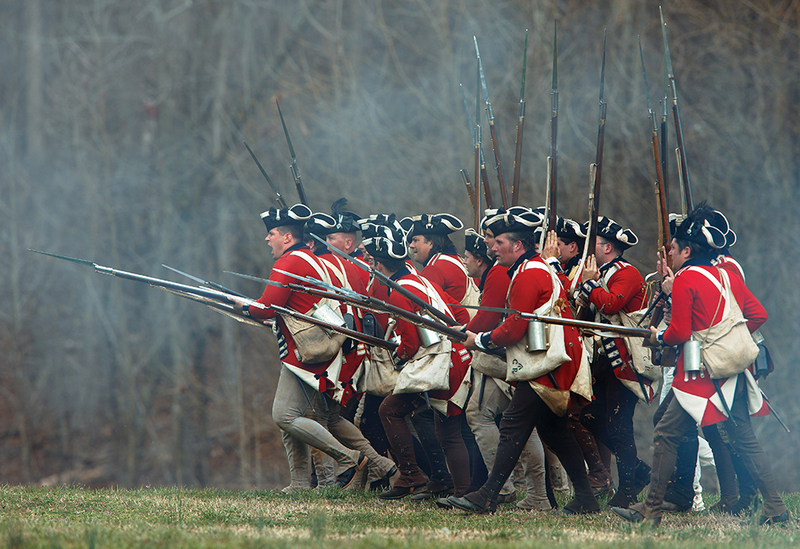 Rebels battling the British weren’t known as Americans, but as Continentals. (Some of us were Loyalists, colonists who chose to fight for the British.) 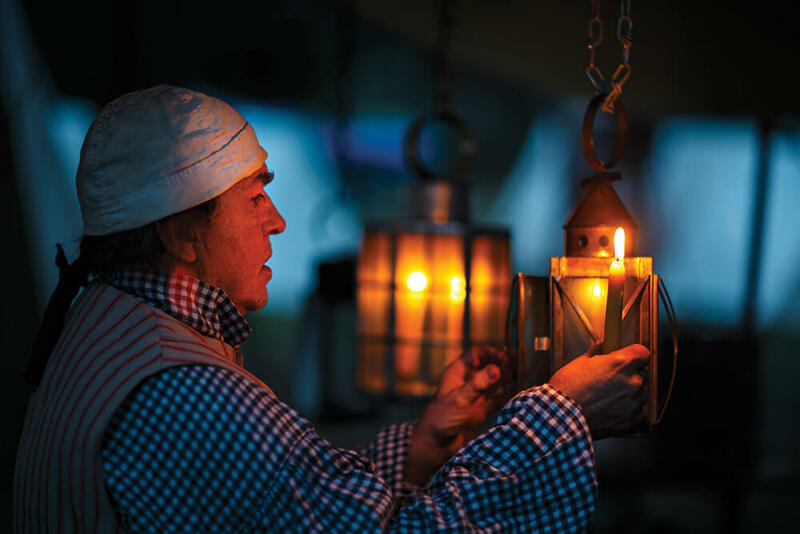 And, as passionate, devoted — some might say obsessed — reenactors will firmly tell you, the “Revolutionary War” was no revolt, but rather a War of Independence. And one of its most pivotal battles, historians agree, took place on a cold March 15th in 1781, during a battle whose legacy is yearly re-created, and whose general gave Greensboro its name. At the war’s outset in April 1775, the British concentrate on the North. 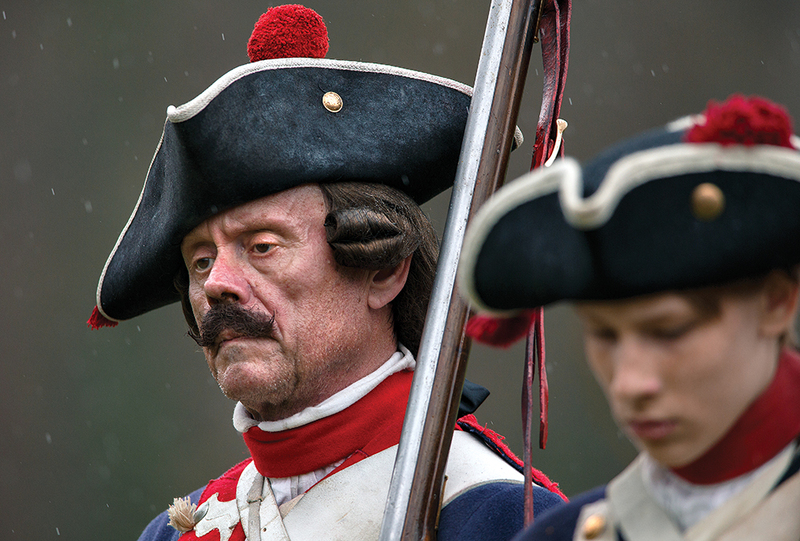 But once the French join forces with the Continentals in 1778, the British turn their focus to the South. By 1780, having seized Savannah and Charleston, they have a Southern stronghold. When, later the same year, George Washington appoints Maj. Gen. Nathanael Greene to head the Continental Army in the South, the commander decides to divide his troops in the Carolinas and force the larger British contingent under Lt. Gen. Charles Cornwallis to fight on multiple fronts. After a Continental January victory in Cowpens, South Carolina, Cornwallis chases them to Virginia, where they rest and build up forces. By March 14, Greene and his soldiers have returned to camp at Guilford Courthouse. 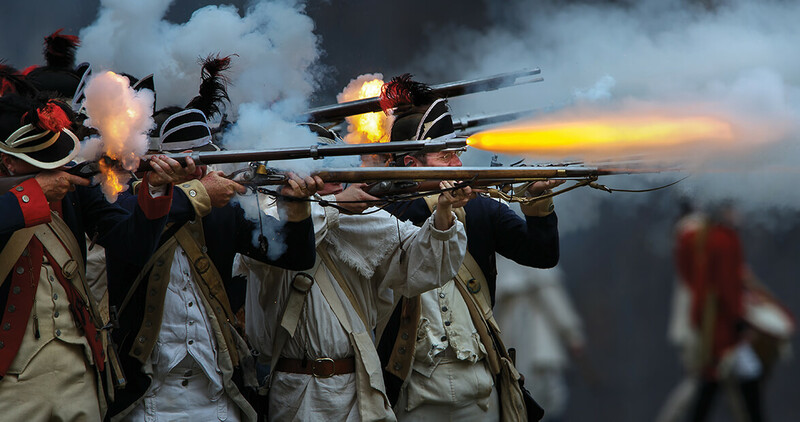 The second line — Virginia militia stationed in heavy forest — fights in bloody skirmishes for an hour before the redcoats break it as well. But the heaviest fighting takes place on the third line — where the Continentals from Maryland and Virginia are stationed. Though some of these experienced soldiers retreat, more battle on furiously in hand-to-hand combat. General Cornwallis orders his artillery to fire on an advancing American cavalry, killing men on both sides in the process. In the melee and smoke cover, Greene orders his men to retreat. Cornwallis claims the day. And although the battle is over, and tactical victory goes to the British, Greene’s army remains mostly intact while more than 25 percent of Cornwallis’s men have been killed. “I never saw such fighting since God made me. 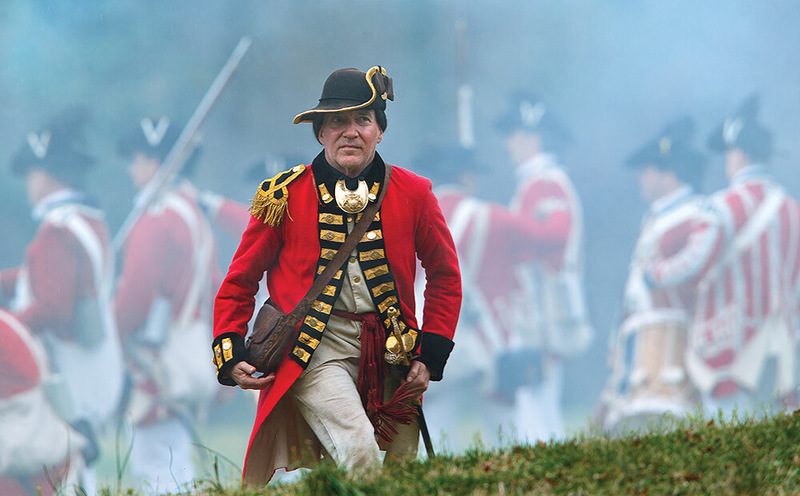 The Americans fought like demons,” Cornwallis famously states. He abandons his Carolina campaign, heads for Virginia, and in October, surrenders at the Battle of Yorktown, the last major land battle of the Revolutionary War. On September 9, 1783, Great Britain formally recognizes the independence of the United States with the Treaty of Paris. Today, history recognizes the hotly contested Battle of Guilford Courthouse as decisive, a bloody day that ensured our country’s freedom. 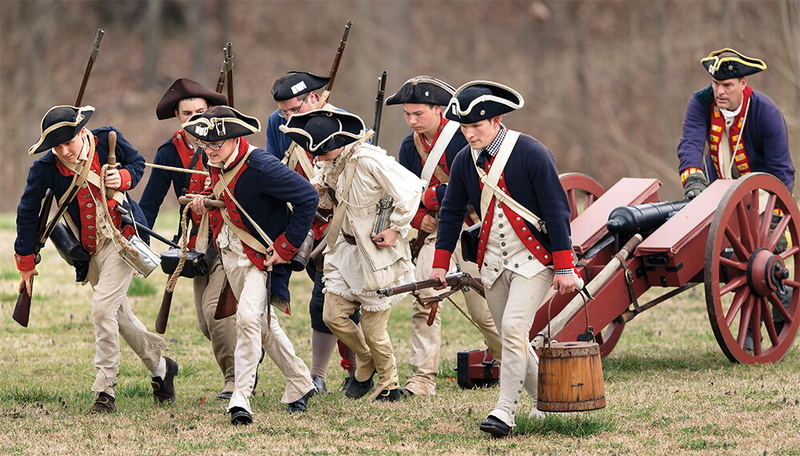 Every March, devoted reenactors bring the battle to life again at the country’s first national park established at a Revolutionary War site, in Greensboro, the city named for Maj. Gen. Nathanael Greene. 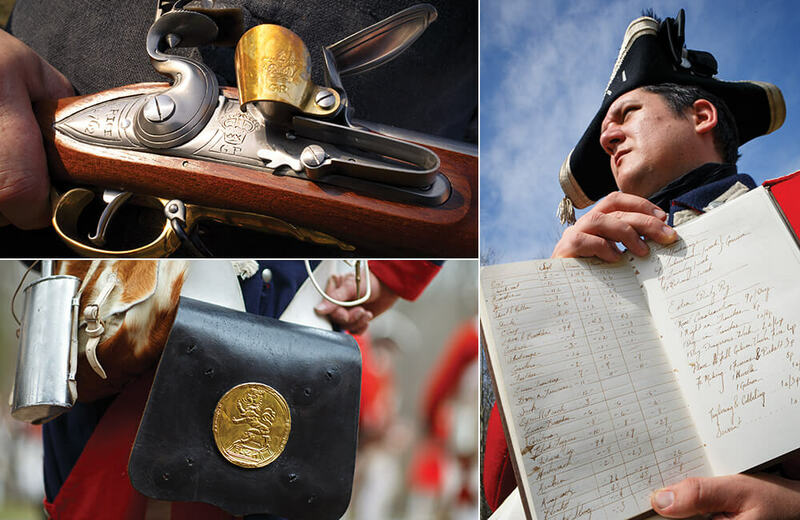 Here you’ll find the infantry, cavalry, artillery, grenadiers, and dragoons, some of whose uniform buttons are cast with the insignia of their regiment. Here, too, are the militia in their plain, sackcloth-like farmers’ clothing; the sutlers — tradesmen who accompany the troops, selling provisions — such as the glassblower whose family has been blowing glass literally since the Revolutionary War, or the man who makes scabbards for bayonets; here is the child who visited Williamsburg, fell in love with living history, talked her family into reenactment, and now stirs a cast-iron pot of onions and potatoes over a fire. 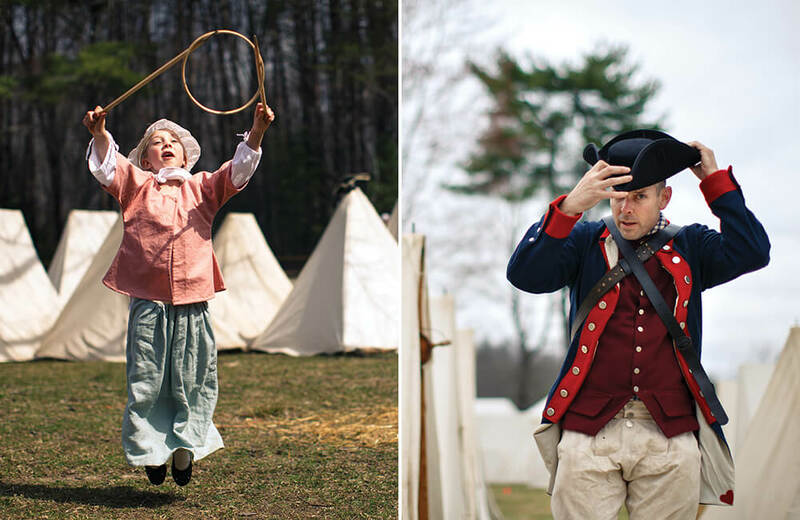 You’ll find the woman whose father was a single parent raising five children on a teacher’s salary, who is here because reenacting was “something we could afford to do on weekends,” and 45 years later, she’s still doing it. You’ll find the Order of the Founders and Patriots of America, the Sons of the American Revolution, the Heridatary Order of the Descendants of Loyalists and Patriots of the American Revolution, and the Daughters of the American Revolution, whose leader “keeps them on the straight and 1781 narrow,” she says, right down to “illegal” bobby pins. 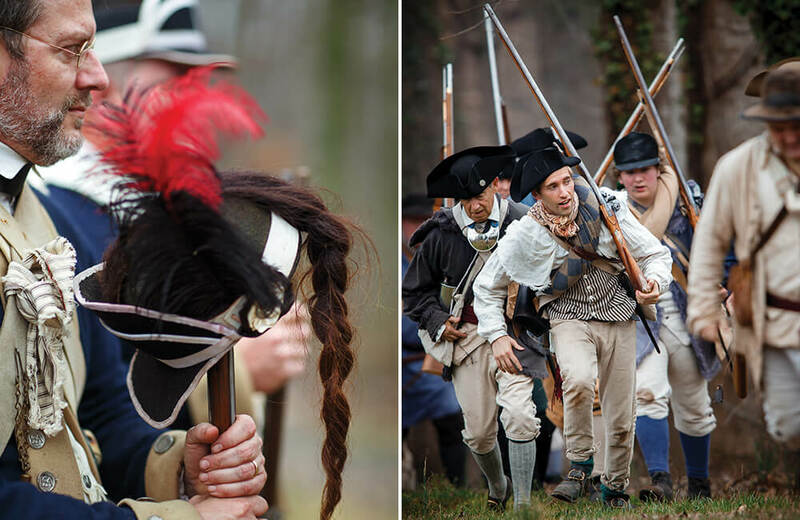 The Anniversary Commemoration of the Battle of Guilford Courthouse will take place March 16-17. 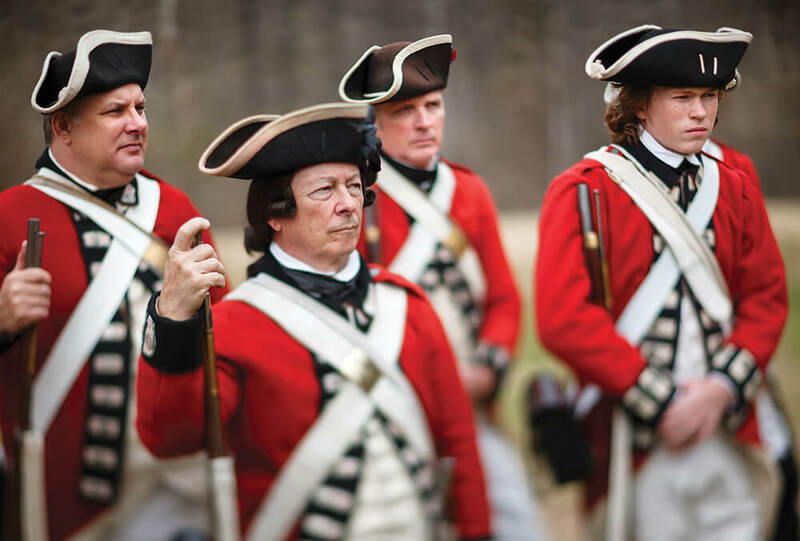 There will be living history demonstrations and military encampments open throughout the weekend at the Guilford Courthouse National Military Park. 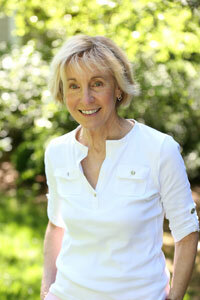 The battle will take place at Greensboro’s Country Park at 2 p.m., both days.